30 years on, it still looked brand new. 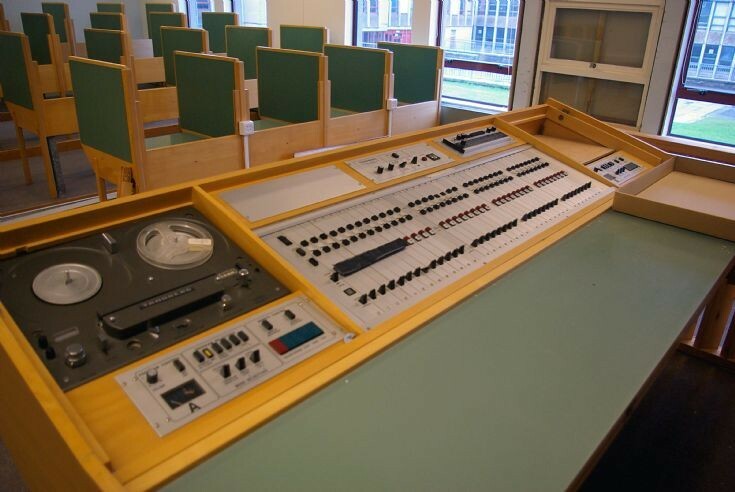 Rumoured to be the last such language lab in existence, a source of wonder to Tandberg themselves. Picture taken January 2014 just before the school was handed over for demolition. I was working as an apprentice there when this was installed. Does not seem that long ago. Please tell me this wasn't dumped. I have what I had thought to be the last IS6 lab (look for tandberg IS6 on youtube) and would gladly have given this equipment a home! Does anyone know the fate of this lab? I have a slightly older one, the IS6 (reel to reel), which I saved from the skip years ago and restored (only had room for ten student positions!). I was amazed to learn here that these labs were still in use.